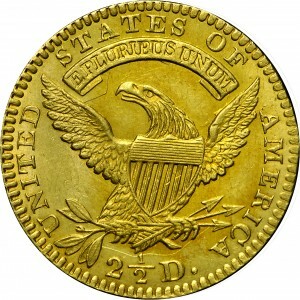 The 1826/5 is clearly the rarest quarter eagle of this decade, and among the rarest of all early quarter eagles from 1796 to 1834. Just 760 coins were noted in Mint records and only about 50 survive today. The example displayed may be one of the finest known. 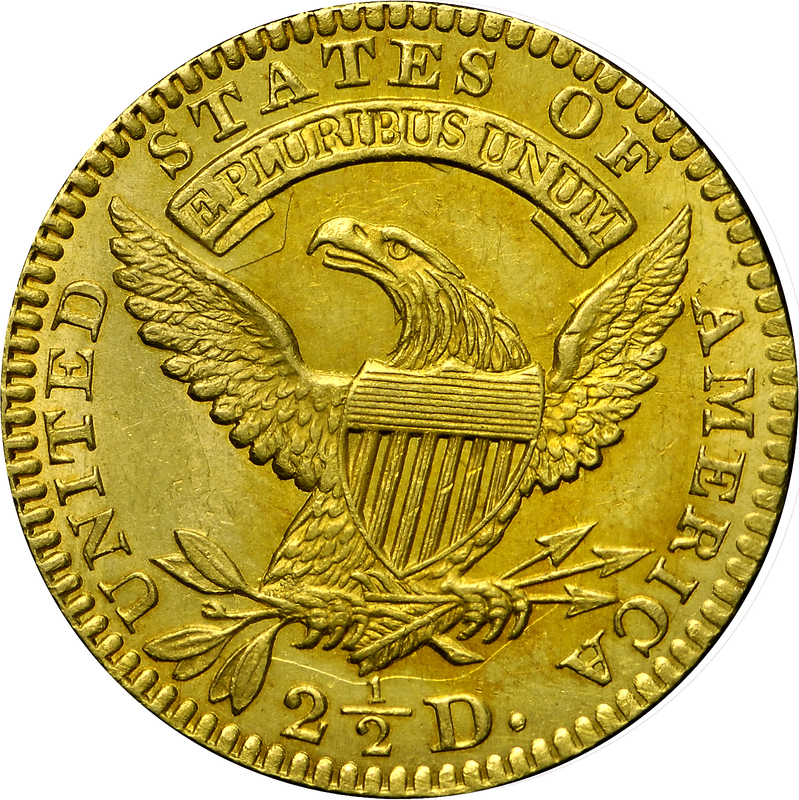 The obverse is often described as an overdate based on observation of the projection above the left side of the digit 6. 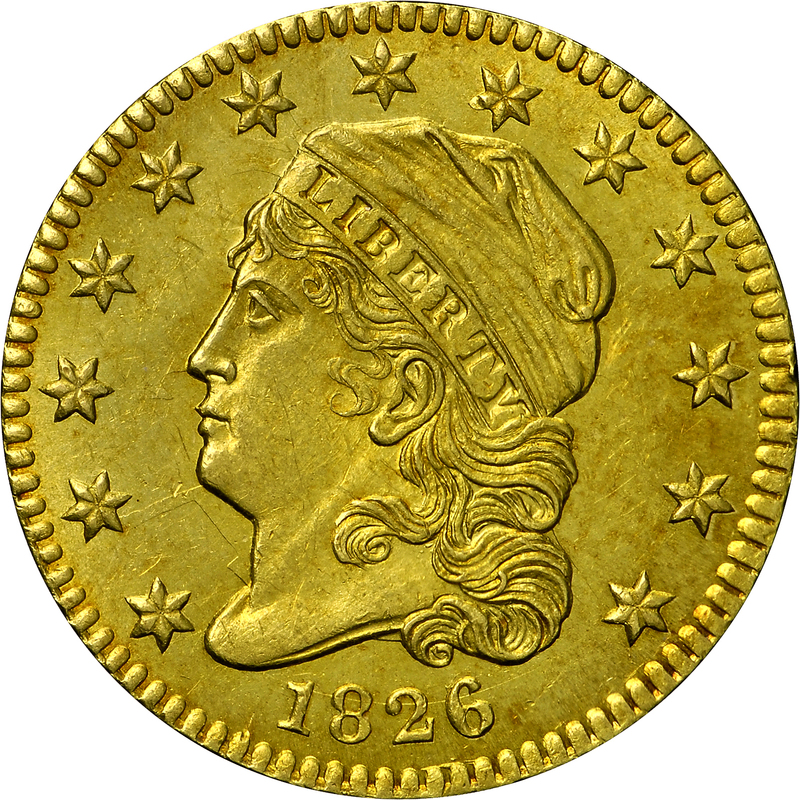 This coin is from the superb Garrett Collection and was acquired by Harry Bass from its March, 1980, auction. It is pedigreed to William Sumner Appleton and Joseph J. Mickley. From the Bowers and Ruddy Galleries sale of the Garrett Collection, Part II, March 1980, Lot 746. Ex Mickley, Appleton, and Woodward, January 23, 1883. "Obverse: Possibly 6 over 5 in date. Clashed. 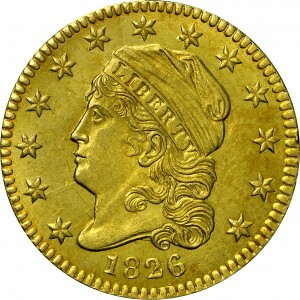 Reverse: That of 1825A, now clashed."